Wine cellars are incomplete without a wine cellar refrigeration unit installed. US Cellar Systems has partnered with various wine cellar designers and builders in Chicago, Illinois to create effective wine storage solutions. One of their top dealers is Baroque Design, and one of their most successful projects was this unique residential wine cellar built in Long Grove, Chicago, Illinois. Wine cellar refrigeration units need to be built with quality, otherwise they cannot effectively provide the ideal conditions required for proper wine storage. US Cellar Systems is one of the best companies in Chicago, Illinois that manufactures quality wine cellar cooling units. They produce various kinds of cooling systems, that can meet the wine storage requirements of both residential and commercial wine cellars. 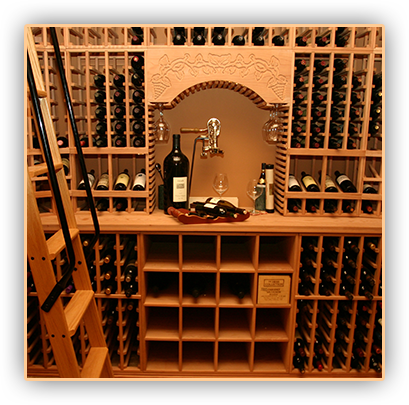 US Cellars Systems has teamed up with many wine cellar designers and builders. One of their top dealers is Baroque Design. They have been partners in many wine cellar construction projects in Chicago, Illinois, and one of their most prized successes is the elegant residential custom wine cellar built in a home in Long Grove. The wine cellar construction area was a 15 x 17 ft. billiard table room that had a fire place. The area was renovated and converted to make room for wine storage room construction. The fireplace was sealed, and insulation and a vapor barrier were installed. One of the most essential stages of wine cellar building is the planning phase. In this phase, the client has to meet and consult with the wine cellar expert, and discuss the details of the wine storage room design. This is a very important stage, because the wine cellar design should be made according to the client’s style and preferences, wine storage needs, and available budget. The client decided on a residential custom wine cellar with a medieval design. 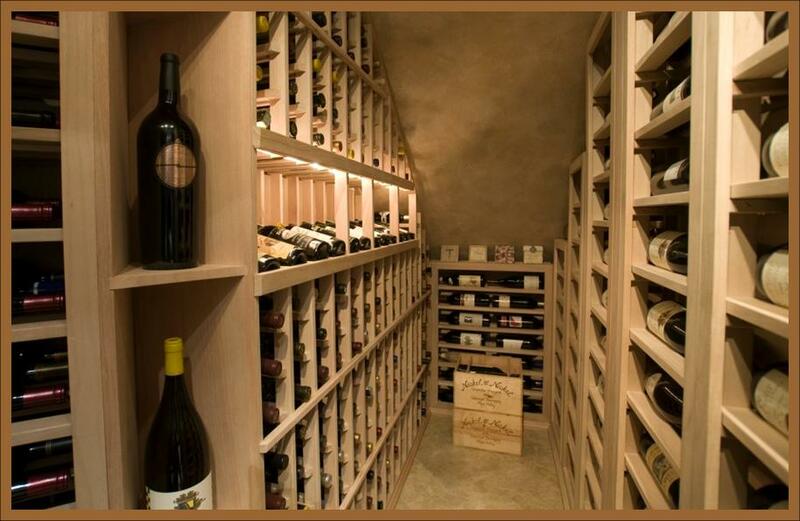 To achieve this, the wine cellar expert did 10 feet of stone work up to the ceiling. A suit of armor was also included, to accentuate the design. To enhance the classic medieval look, reclaimed bard wood, obtained from their local supplier, was used for the wine racking. The reclaimed barn wood was antique, that dated back to the 1800s. Baroque Designs LCC is one of the best wine rack designers in Chicago, Illinois. The wine racking system for this wine cellar in Long Grove includes wine racks for individual storage, and a diamond bin for bulk storage. To showcase magnums, four niches in the corners, 2 feet in height and 6 inches in depth, were included. Wine cellar doors play an important role in keeping the temperature and humidity inside a residential custom wine cellar constant. Since it is the entryway to the treasured wine collection, a wine cellar door should be beautifully designed and give preview to the design of the wine storage room. For the Long Grove wine cellar, the door was purpose built and imported from Europe. Its design was created to match the medieval ambiance of the entire home wine cellar. Before guests see the whole design of the residential custom wine cellar, they can already feel the medieval ambiance from the wine cellar door’s design. The client also had a large wine tasting room added to the wine cellar, complete with chairs and a table for guests. One of the highlights of this wine tasting room is the reclaimed wine barrel head from Sonoma Valley in California, that was used as décor. The barrel head was customized with the client’s name on it, to add a personal touch to the room. 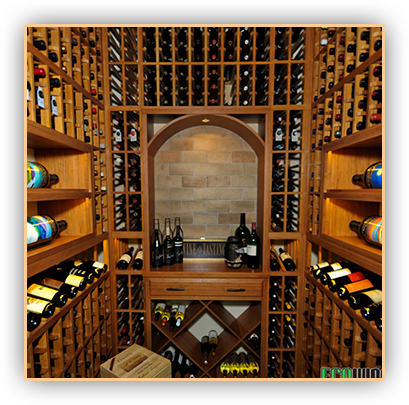 Each residential wine cellar in Chicago, Illinois has a different wine storage requirement. Therefore, each one needs a different wine cellar cooling unit. This is why it is very important to have a licensed HVAC professional determine the appropriate wine cellar refrigeration unit for a specific custom wine cellar. Otherwise, the ideal temperature and humidity levels required for wines to mature properly cannot be achieved. For the residential custom wine cellar built in Long Grove, Chicago, Illinois, the wine cellar refrigeration unit determined by US Cellar Systems as most appropriate for the wine storage requirements was an RM8600 TE. This wine cellar refrigeration unit is a 300 cubic feet capacity split ductless type cooling system. Its configuration allowed two evaporators to be placed inside the wine cellar room, while the condenser was placed in the furnace room, whichwas50 feet away from the wine storage room. The cooling system’s line is cleanly set through the wine cellar’s ceiling. Your wine collection is an investment, and that means that it deserves only the best. Besides having a durable and well-designed residential wine cellar built, make sure that the wine cellar cooling unit you have installed is made from quality materials, and is efficient in providing the necessary climate conditions for proper wine storage. There are many wine cellar designers and builders in Chicago, Illinois, and Baroque LCC is one of the most reliable when it comes to constructing ideal wine storage solutions. Regarding wine cellar refrigeration units, there are also many cooling systems manufacturers, but US Cellar Systems is one of the few that manufacture quality products. US Cellar Systems is the company to trust when it comes to quality wine cellar cooling units in Chicago, Illinois. They manufacture wine cellar cooling systems for every wine cellar’s wine storage requirements. They also offer installation services as well as maintenance and repair services, if necessary. They installation, maintenance, and repair personnel are all licensed professionals. 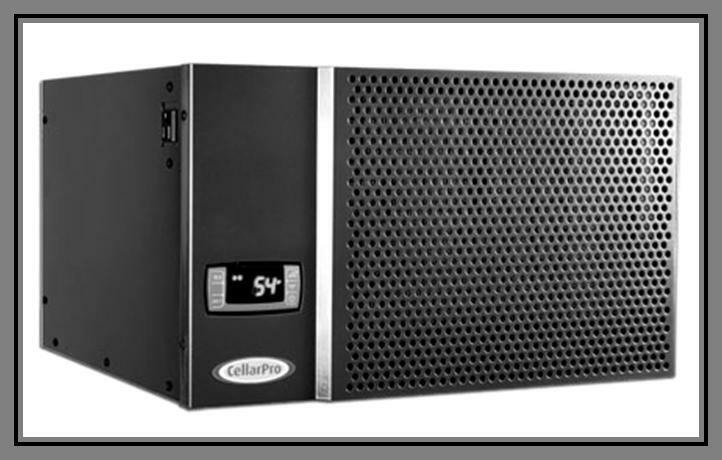 For more information about their products and services, contact US Cellar Systems today at (562) 513-3017! Wine cellar refrigeration systems in Chicago are an essential aspect of wine storage. Wine cellar cooling units help make sure that the temperature and humidity in your residential wine cellar in Chicago are kept at the ideal ranges. Wines cannot mature well if they aren’t kept in the ideal temperature and humidity ranges. A beautifully designed wine cellar in Chicago by Baroque Designs LCC is an example of a wine storage room that can provide the ideal conditions for wines. This residential wine cellar is built in a home in Long Grove, Chicago, and can accommodate more than 1000 wine bottles. Wines can be stored in many different ways, but when it comes to huge wine collections, custom wine cellars are the best place to keep them. The huge home wine cellar was built in a renovated billiard table room that is 15 x 17 feet. The residential wine cellar in Chicago was uniquely designed and built by Baroque Designs LCC. The wine cellar had a classic feel with a medieval design. Stone work was done in the wine storage room up to the 10’ ceiling. The wine racks were handmade from reclaimed barn wood, which was obtained from their local supplier. Four niches that were 2’ high and 6” deep in the corners of the wine racks were included, to showcase magnums. The wine racking was made to accommodate individual storage and a diamond bin was included for bulk storage. Wine cellar doors are also an important part of custom wine cellars, because how they are built may affect the temperature and humidity conditions inside the wine storage rooms. A purpose built wine cellar door imported from Europe was installed in this beautiful home wine cellar in Chicago, Illinois. A classic design wine tasting room is another beautiful feature of this Chicago residential wine cellar. The tasting room has a table and a few chairs. A reclaimed wine barrel head from Sonoma Valley in California was used as décor in this tasting room. The barrel head had the client’s name customized on it. Every home wine cellar in Chicago needs a wine cellar refrigeration unit to help make sure that the temperature and humidity are kept in the ideal levels. Wines will get damage if there are constant fluctuations in these levels. For this wine cellar project in Long Grove, Chicago, Illinois, US Cellar Systems provided an effective wine cellar refrigeration unit and had a licensed HVAC technician install the unit. The unit was a 300 cubic feet capacity Ductless Split Type Cooling unit. Have you opened a wine bottle from your wine cellar and been disappointed when you tasted it? Wine that has not been stored properly usually has wine faults. For wine lovers who plan to collect wines, they have to make sure that they have enough knowledge about proper wine storage, the ideal wine storage solution for their needs, and the right budget for it. There are several wine storage options that you can find on the market today. One of these is the wine cellar racks which are ideal for those who have a few wine bottles in their collection which are meant to be consumed early. Wine Cellar Specialists offer different wine rack kits and can also customize wine racks according to your personal preference. They also have refrigerated wine cabinets (also called wine cellar cabinets) which also function like a wine cellar. They are perfect for wine enthusiasts who don’t have the right budget and space for a wine cellar. They are available in different sizes and prices. Why Invest in a Chicago Custom Wine Cellar? In Chicago, many wine lovers have invested in residential wine cellars for many purposes. Custom wine cellars are designed mainly to provide a wine collector’s precious wines with optimal storage conditions. A wine cellar also enhances the beauty of a living space, provides a great place for wine tasting parties with fiends and colleagues, and allows the owner to buy wine in bulk. Investing in a Chicago residential wine cellar requires time, money, and an expert wine cellar builder. It is necessary that you think about the design and type of wine cellar where you want to display your collection. Metal wine racks are used for constructing contemporary wine cellars, while wooden wine racks are for traditional wine cellars. Since the wine cellar cooling system and door contributes a lot to achieving a climate-controlled environment in a wine cellar, it is essential that you choose the right one for your needs. The wrong door may cause the cooling system to work inefficiently and produce growth mold. 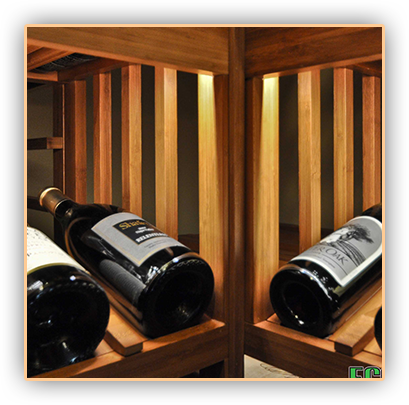 Click here to learn about the types of custom wine cellar doors. 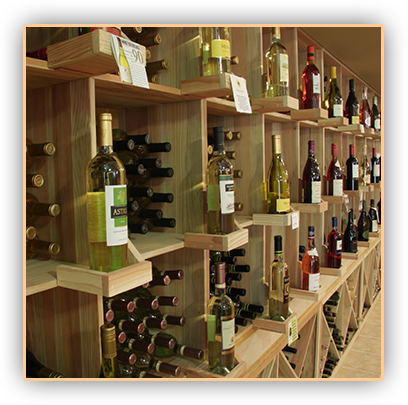 Contact Wine Cellar Specialists now at 877-497-7263 to start your own wine cellar project! Usually when people discuss about wine cellar refrigeration systems the focus of discussion is on the inside of the wine cellar room (like temperature, air circulation, the location of the custom wine cellar, etc.). Although these things are very important to storing wine, you need to remember that a wine cellar unit is basically an air exchanger, which means that while it is producing cool air into the wine storage room, it is also releasing hot air into the exhaust environment. All wine cellar cooling units have an exhaust room or environment. In the case of a self-contained, through-the-wall wine cellar cooling unit, the exhaust environment is the adjacent room built to receive the exhausted hot air (unless the air is ducted elsewhere). In the case of ducted split type cellar refrigeration systems, the exhaust environment can be the garage or outside. These cooling units have their exhaust environment located away from the custom wine cellar. There is a need to give importance to wine cellar cooling system exhaust rooms or environments because a cooling unit’s ability to cool a wine storage room is directly related to the temperature of the exhaust room. Since a wine cellar refrigeration unit is an air-exchanger, cold air is basically produced inside the cellar and hot air is exhausted out. This exchange creates a temperature difference between the two environments. It is imperative that a refrigeration unit is able to maintain at least a 30 degree Fahrenheit temperature differential between the custom wine cellar and its exhaust room. Temperature differential is calculated by subtracting the cellar temperature from the exhaust room temperature. For example, if a custom wine cellar is set at a temperature of 55 degrees Fahrenheit, its exhaust room should not get higher than 85 degrees Fahrenheit in order to have a maximum of 30 degrees Fahrenheit temperature differential. If the exhaust room does get warmer, for example, 95 degrees Fahrenheit, then the cellar could get as cool as 65 degrees Fahrenheit to maintain a 30 degrees temperature differential. This temperature differential needs to be maintained at the appropriate levels because it greatly affects the ability of a cooling unit to cool the inside of a custom wine cellar. If a wine cellar refrigeration unit fails to provide the ideal temperature levels, your wines will suffer and get damaged. 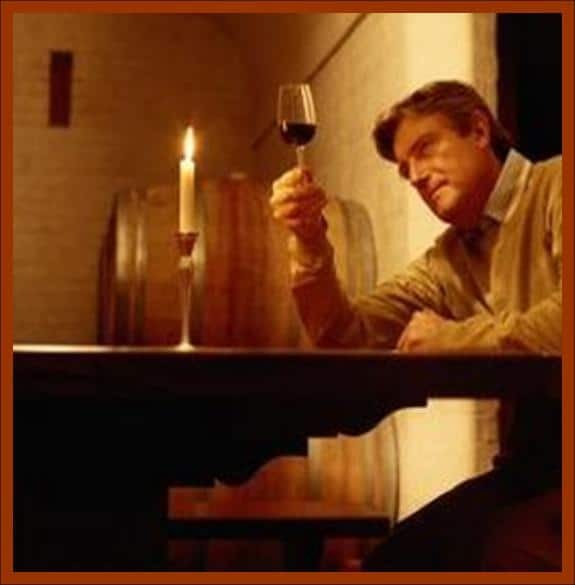 Both beginners and experts in wine collection must know the important conditions required to make a good wine last. The two vital aspects of proper wine storage conditions are temperature and humidity. To make sure that your custom wine cellar can provide the ideal temperature and humidity that your wines need, you need to purchase a good wine cellar refrigeration system. Wine cooler refrigerators are units designed for storing wine. These units can regulate temperature and humidity effectively so that your wine collection will not get ruined. There is a huge difference between wine cellar refrigeration units and air conditioning units. Although both can cool the room temperature, the latter cannot cool wine to the ideal level. A wine cellar cooling system does not just cool the room like an air conditioner does. It goes beyond that. A wine cellar cooling unit regulates and monitors the temperature and humidity so that they are kept at a constant level. This is important in wine storage because frequent fluctuations in temperature and humidity can damage your wines. This is the most cost efficient type of custom wine cellar cooling unit. You simply mount the unit into an interior wall. The hot air inside the cellar will be vented out through the wall and into an adjacent room. This unit will also help lower down the noise from the cooler. It is important to have a relatively big room for the exhaust air. Ideally, the adjacent room should be as big as your wine cellar. This type of wine cellar cooling system does not come in one piece, but it is the more convenient and more popular choice among wine collectors. Additionally, although this cooling system is more costly, it has longer life expectancy. Another advantage of having this unit is that you do not need an adjacent room for exhausting hot air. This is very similar to the ductless-split type cooling unit because you will hear no noise from its fan and you will not need any adjacent room for exhausted hot air. One of the best things about this wine cellar cooling system is that there is no visible equipment inside the wine cellar at all. This system is configured in such a way that it is the cool air that is ducted into and out from the wine cellar.